Hit the trails with the Ridgehiker Cork Powerlock. Lightweight, durable construction and the Power Lock II system equip the poles for varied conditions. 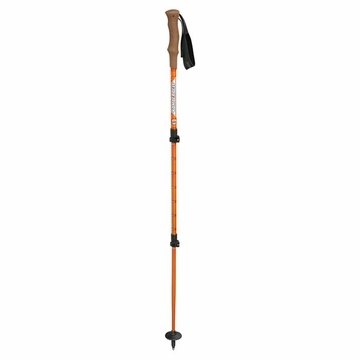 The Ridgehiker is highlighted by the Expedition cork grip with padded strap. Made from aluminum alloy 7075-T6. Includes expedition foam grip, padded strap, vario trekking basket and carbide flex tip. Compact: 54 cm packed, 120 cm extended. Wt/Pole: 8.85 oz.